GUK is a high-quality supplement that provides a unique formula that combines calcium phosphate, vitamin C and vitamin B1. The vitamin C within GUK is from pure ascorbic acid, which provides high-levels of natural vitamin C. Thiamine (vitamin B1) is then mixed carefully with the vitamin c already in the supplement to create a perfectly blended health supplement. Our GUK supplement comes in the form of a vegetable cellulose capsule. This enables us to offer a supplement that does not require any unnecessary chemicals, excipients, binders, or unnatural fillers. A vegetable cellulose capsule is designed specfically break down naturally within the acid of your stomach, ensuring that the nutrients are absorbed during digestion. 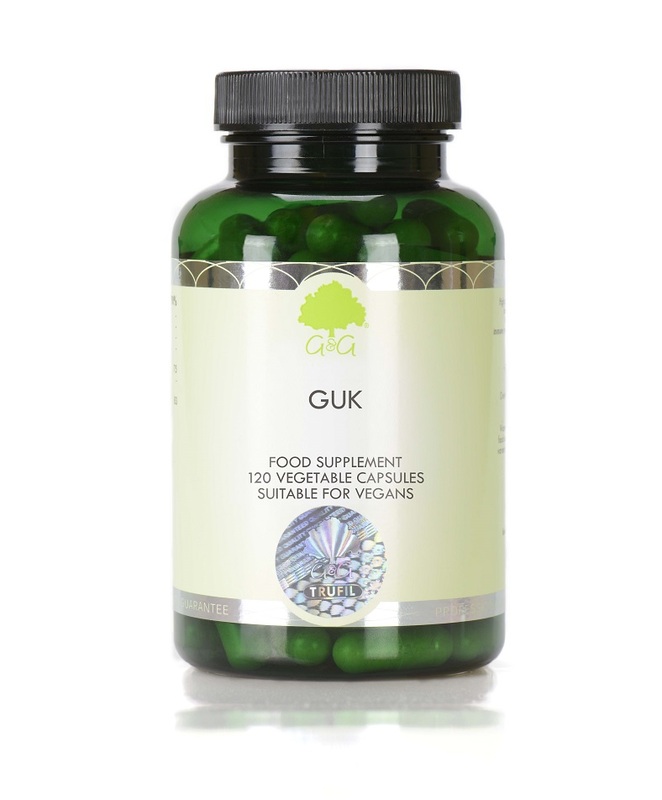 GUK is suitable for vegetarians and vegans. It is also approved kosher and does not contain any allergens. Take 3 to 6 capsules daily with a main meal, or as directed by a professional.